This new piece from Moen brings fresh water fast and adds a stylish look to any bathroom. This dual-control faucet gives off a modern feel and looks great in any bathroom. Its deck mounted design makes it easy to set up and looks great with many sink types. This faucet is also WaterSense certified so you and the environment can enjoy less water use but also stay clean. Bring a sleek, timeless look to your bathroom with the Banbury 2-Handle Low-Arc Bathroom Faucet from MOEN. Its gleaming chrome finish is easy to clean, offering versatile style for both classic and modern decor. This efficiently crafted faucet is WaterSense certified with a 1.2 GPM flow rate for water conservation, and installation is easy with the deck-plate mount and 1/2 inch connection. Danika 4-Inch Centerset 2-Handle High Arc Bathroom Faucet with Lever Handles in Chrome This new piece from Moen brings fresh water fast and adds a stylish look to any bathroom. This dual-control faucet gives off a modern feel and looks great in any bathroom. Its deck mounted design makes it easy to set up and looks great with many sink types. This faucet is also WaterSense certified so you and the environment can enjoy less water use but also stay clean. 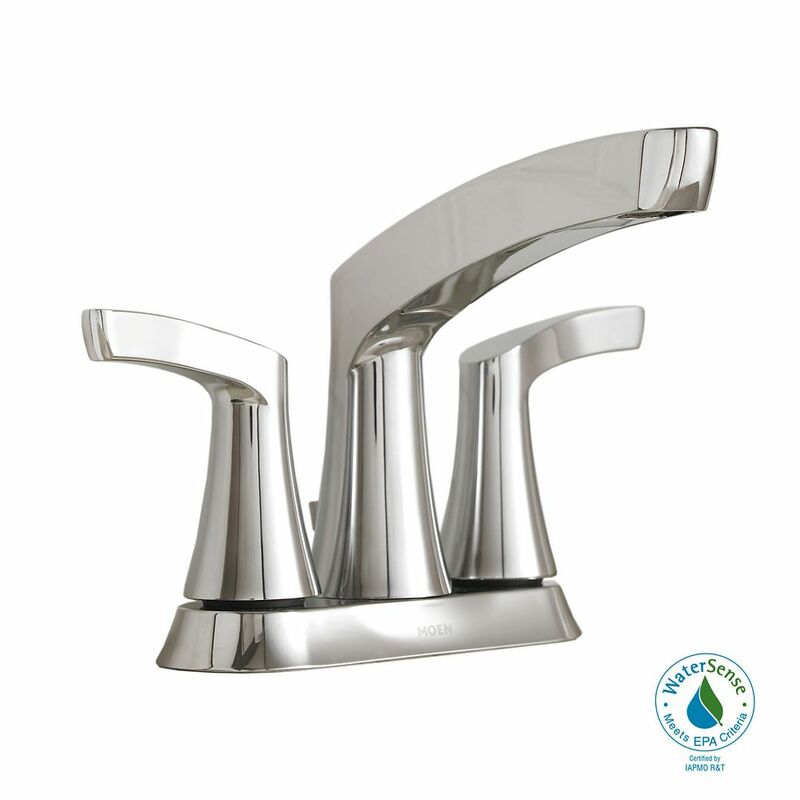 Danika 4-Inch Centerset 2-Handle High Arc Bathroom Faucet with Lever Handles in Chrome is rated 2.0 out of 5 by 2.